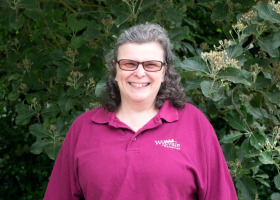 A member of the sales support team at one of the Wyvale Nurseries in Hereford has recently been awarded a British Empire Medal in the New Year’s Honours List (January 2019). Karen Jones received the medal for her long and dedicated service to Kingsland Cub Scouts in Herefordshire. Mrs Jones, who is married with three children, has worked for Wyevale Nurseries for more than 30 years in the company’s sales office. Mrs Jones was notified that she was going to receive an award before Christmas and is waiting to be presented with it by, it’s anticipated, Lady Darnley, the current Lord Lieutenant of Herefordshire, but a date and time has not yet been confirmed. Mrs Jones has volunteered at Kingsland Cub Scouts for more than 30 years and is the group’s Akela, the leader of the pack and she was also awarded a medal for services to horticulture and long service to Wyevale Nurseries in 2018. Karen Jones has also received a bronze medal from the Three Counties Agricultural Society for 30 years continuous service.